Cojo was painted by 2015-05-18. 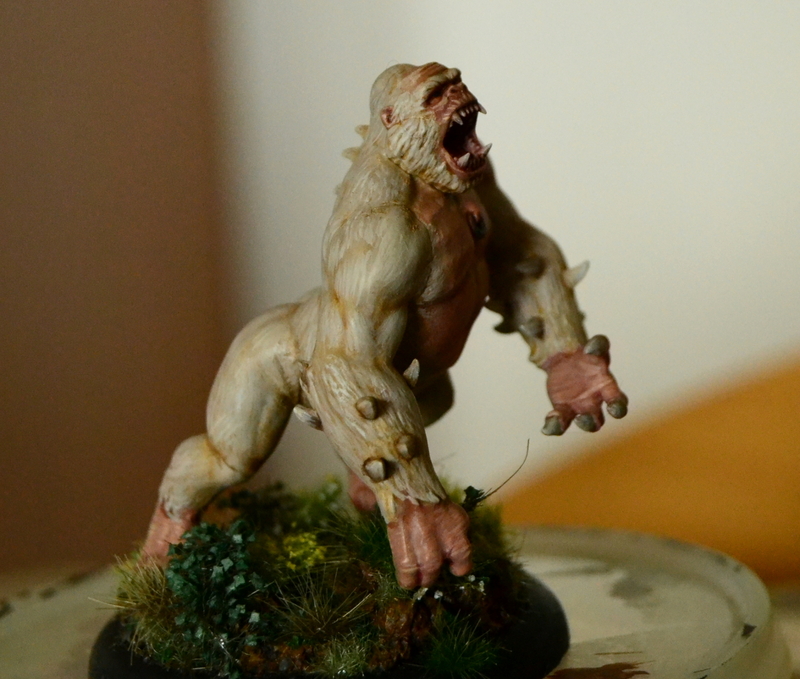 The colour scheme’s starting point was an albino gorilla (and Ron Perlman), instead of the more cartoony grey-turquoise shaded Cojo in the M2E book. Not my best work, but it does the job.